But whew! What a ride it’s been! This book has been a long time coming – I starting writing it over a year ago, but the idea had been percolating even longer than that. King Benjamin showed up about 18mos ago and surprised me with how little I knew about him. You can see that not all of those covers actually made the cut anyway, but they were some of the ones I was working on. (Most of the titles didn’t make the cut either, but they were mostly placeholders at the time). 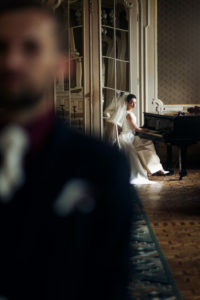 So I needed to go a different direction, but I LOVED the red piano. Okay. Cool. I have PhotoShop. I can make a piano red (because there is a serious dearth of red pianos on the stock photo site I use). Turns out making the piano red was the easiest part of this exercise (by far! ), and I spent HOURS getting the pictures cut out right and then lining them up correctly. If you look closely enough, it’s not perfect, but it’s pretty close – close enough for me! So yay! Cover is done! Right?! Er, no… I fiddled with it, mostly moving the title and such around. I even had a version I really liked (that may or may not be it :p). Then I started my annual November blogging month and wanted to use a different picture for the blog instead of this one that I worked so very hard on, saving it instead for the cover reveal. (You can see that post here.) I had no intention of changing the cover. Cover! YAY! 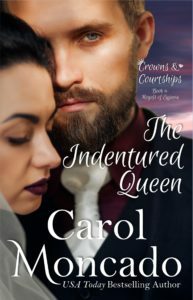 The Indentured Queen releases July 10. I’m super excited – and super nervous at the same time. When a book is anticipated like this one is (at least by me and at least a few readers – or so they tell me :D), it’s nerve wracking. What if it doesn’t live up to the the expectations? What if Benjamin isn’t redeemable? What if no one else likes him by the end of his story? These are the things that cause nausea for an author the week or so before a book releases ;). Or even longer if we’re being honest. After all the hours working on the one with the red piano, I am using it on the back cover. It’s also been part of some memes and marketing stuff, so it wasn’t a total waste ;). Meantime, I’m working on the sequel. 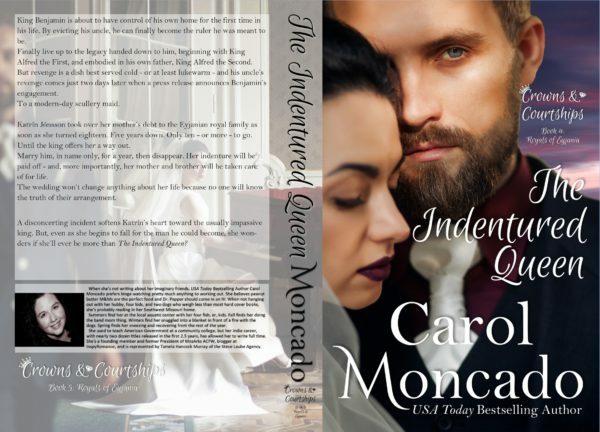 It should be up for preorder before The Indentured Queen’s July 10 release date. To be among the first to know – and get special preorder pricing on it – be sure to be signed up for my newsletter* or be a member of the Serenity Landing Book Club on Facebook! Be sure to grab your preorder before the price goes up on release day! 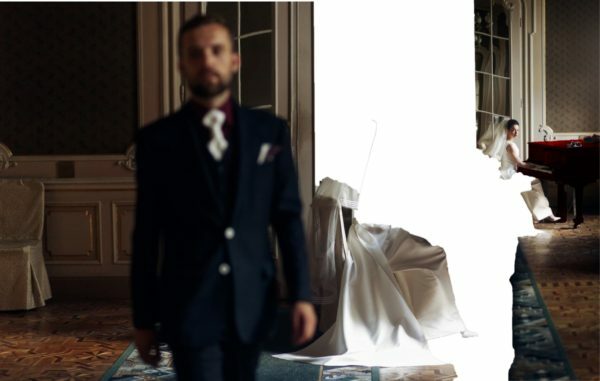 King Benjamin is about to have control of his own home for the first time in his life. By evicting his uncle, he can finally become the ruler he was meant to be. Finally live up to the legacy handed down to him, beginning with King Alfred the First, and embodied in his own father, King Alfred the Second. 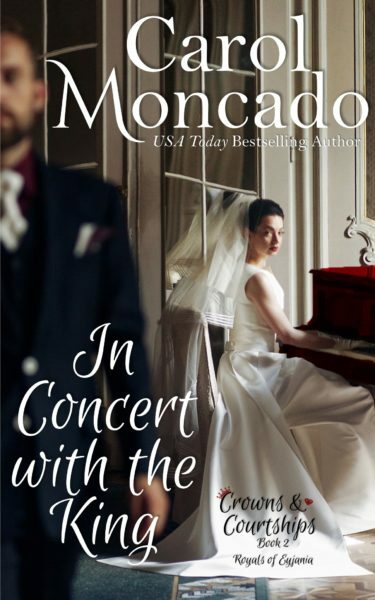 But revenge is a dish best served cold – or at least lukewarm – and his uncle’s revenge comes just two days later when a press release announces Benjamin’s engagement. To a modern-day scullery maid. Katrín Jónsson took over her mother’s debt to the Eyjanian royal family as soon as she turned eighteen. Five years down. Only ten – or more – to go. Until the king offers her a way out. 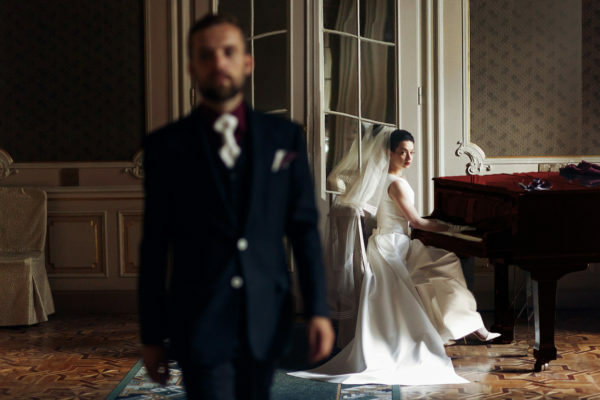 Marry him, in name only, for a year, then disappear. Her indenture will be paid off – and, more importantly, her mother and brother will be taken care of for life. 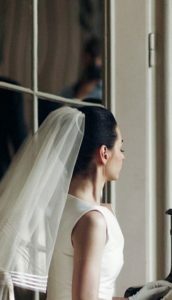 The wedding won’t change anything about her life because no one will know the truth of their arrangement. A disconcerting incident softens Katrín’s heart toward the usually impassive king. 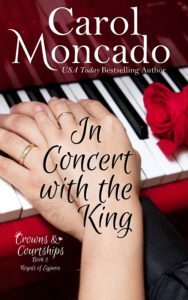 But, even as she begins to fall for the man he could become, she wonders if she’ll ever be more than The Indentured Queen? *Right now, newsletter subscribers get a special thank you! A free download of Love for the Ages! It’s the story of King Benjamin’s mother and father when they first meet! 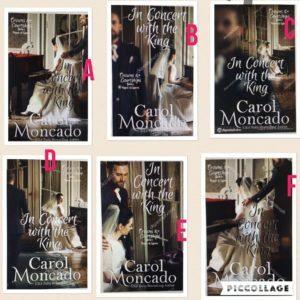 Hi Carol, I enjoyed Love for the Ages, it was great to get a peak into family history (and make me wonder why Benjamin seems like such a not nice person!). I am eager to read his story and see what makes him tick- and ultimately how he develops as a character. 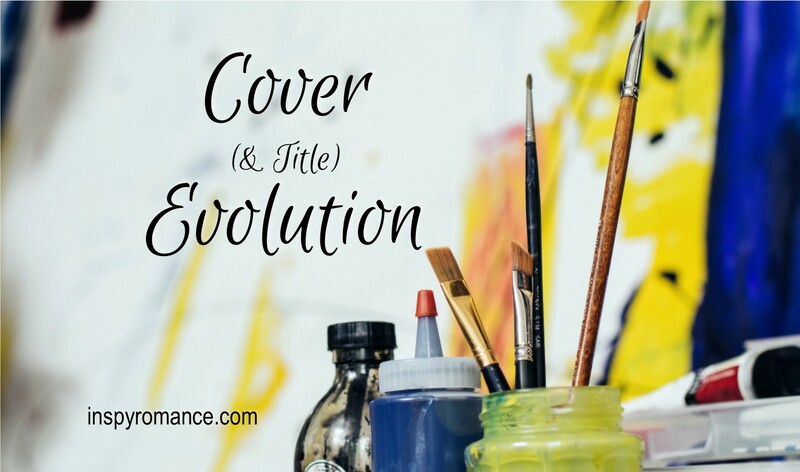 What an interesting cover journey- every time the authors here post about their cover/title journey’s, I am fascinated about how they evolve. Hard to imagine books with different titles/covers!! Oh my gosh. This is why I had to stop making my own covers. How are you still sane?? I would be gibbering. Oh there were a couple of days where I was ready to through the whole thing out the window while photoshopping the two pics. I think my eyes crossed! I RARELY do anywhere close to this much work on a cover! Hi Carol! Thanks for sharing the “cover story.” So much more than meets the eye, but worth it. The results are amazing. Photo Shop is an amazing program. We used the program, when I was advisor for the high school newspaper and for church newsletters. Best wishes and Happy writing. PhotoShop is great when I can get it to work right! Thanks so much! It was fun to watch the evolution of your cover. Thanks! I’m glad you enjoyed it! Wow, Carol, how interesting! How do you do it! Lots and lots of caffeine. And chocolate ;). I liked the evolution of the cover! The storyline looks interesting! Thanks, it was fun. Wow! Those covers are amazing, and I’m so glad you were able to include the cover you worked hours on as a muted photo for the back cover. I always look forward to your releases! I’m so glad to hear that! And there was no way that pic wasn’t going to get used somewhere!!! Thanks Tamara!!! And thank YOU for the inspiration for the evolution post!!! You did a fabulous job on the photos and cover! You have MANY skills, lady! The great thing is that the book and the cover go so well together! I loved the story and the cover! You’re a fantastic author! Thank you, Marylin!!! Mostly I was broke when I started so had to learn how to do some stuff like covers. I do kind of love the final cover as much as the second one! I’ve been waiting for Benjamin’s story and am excited I’ll be able to read it very soon! I’m hoping there is something deep down that will give me a change of heart about the guy. I enjoyed reading about his parents in Love for the Ages, it was a great way to ease into Benjamin’s story. PS I like your final cover the best. OH I do hope he redeems himself in your eyes! I’m trying to be prepared for reviews that don’t think he did (because there’s always some of those out there). But eek! The nerves!!! Hubs surprised me by taking the day off and doing a DIY project! Then a kid’s phone died and we’re dealing with that :(. But I’m here now! Heading back to comments! I’m so incredibly impressed, Carol. I stink at such things. Stink at it. There’s no way I could do such awesome covers. And I love the red piano. Love this, Carol. So interesting to get a behind-the-scenes glimpse of how it all works. Thanks for sharing! And congratulations on your new book!